I have a short commute to my office. That usually doesn’t sit well with those who endure traffic, sometimes for hours, each day. But it’s true – generally, I’m in my car less than an hour a day. Whether the commute is long or short, we might share a common dilemma: What shall I listen to on my drive to work? How will I listen to it – on radio, by smartphone, or CD? When it comes to car music, I’m old fashioned. I like radio. My first car was a Ford Mustang (brown, with a hatchback to carry the bass guitar and amplifier) – the buttons were hard to push, and I programmed mostly Southern Rock, 80’s pop music and classic rock on the stations. But I noticed the other day – we still have those buttons, numbered 1-6, to store our favorites, the old standby stations that we can access instantly, depending on our mood or circumstances. Yes, automakers have expanded the number of stations that can be stored, creating FM1, FM2 and even FM3. I’m content with just the AM and FM, though. Too much decision when I am behind the wheel of the car leads to distraction; and distraction leads to veering; and veering leads to – well, you get the picture. That Subaru has a few dings in it. I was changing the stations the other day, and for some reason, I imagined that each selection was a book of the Bible. I pulled over safely, wrote down my thought, and gently eased back into traffic, knowing that I would one day finish that thought. The question is: If certain radio stations bring a certain comfort, are there books of the Bible that bring the same feeling? I say yes. So I want to ask you: What’s Your Station? Here are the top six I find myself pulled to at any time (in order of the settings on my car radio). Christian Radio. Now, I’d like to say that I select this every time I get behind the wheel; alas, I do not. I’d like to say instinct calls me to play this one in every car ride. Again, no. But for those times when I really need to hear the Gospel; whether I am feeling upbeat and thankful, or whether I am anxious and concerned, I choose button #1. Once I do, I almost always feel like I have just left a Sunday morning worship service, and my heart is lifted. Button #1 Bible twin: The Gospel Books of Matthew, Mark, Luke, John and the Acts. 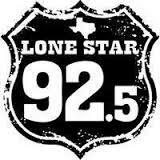 92.5FM: Lone Star Classic Rock. You know the tunes here – classics from Boston, Kansas, Styx, BOC, The Who, Skynyrd, and the ever-present Beatles. These are the old standby’s – the ones I love to go to – at any time. This is the music we taught (and continue to teach) to Shannon and Jack. Kind of like the traditional Bible Stories. They are comforting; they remind me of a foundation that was laid years ago; and I know all the words. Button #2 Bible Twin: The Bible Stories I Learned when Growing Up. The Classics. 99.5 The Wolf/Country Radio. I listened to quite a bit of country music in college and post graduation. And I still do, occasionally. There are all kinds of lists on the web that tell us why we should listen to country music, and most of them include ‘it’s relatable’ as a reason. There are country songs for every emotion: happy, sad, angry, disappointed, anxious, or jubilant. So, too, is the Book of Psalms. 150 Psalms, written by at least 7 authors over a period of at least 900 years (and here you thought David wrote all of them…..no more than Willie Nelson wrote every country song!). In the Psalms, we find the ‘relatable’ context in the Bible – if you feel it, there is a Psalm for it. Really. Button #3 Bible Twin: the Psalms. Think of this as a “Things my Dad taught me” book. While we traditionally attribute this book to the wisdom of Solomon, it’s likely that his sages, counselors and other persons actually did the writing. Even so, Proverbs gives us wonderful direction and caution signs, much like the News and Weather station. Read a few – you’ll see what I mean! (Don’t take Central Expressway – use an alternate route) Button #4 Bible Twin: Proverbs. 5. 105.3 The Fan/Sports Talk Radio. You had to know I’d end up here at some point. Let me be clear: Sports is not a religion – there is no transformation, no redemption. We can get into that discussion later. As this relates to Bible, though, we find Paul’s letters surrounding us with imagery of athleticism: 2 Tim 2:5 (competition); Phil 3:14 (push to the prize); 1 Corinthians 9:24-25 (athletes running the race); 2 Tim 4 (fought the good fight, run the race). I’m certainly not going to say that when I listen to my FanFave @BenRogers and @SkinWade , I pull over and start reading the letters of Paul. But I find it interesting just how many times I hear something on 105.3 that reminds me of Paul’s imagery of athletes finishing the race. Button #5 Bible Twin: Letters of Paul. 6. You may be surprised to learn that Button 6 is not pre-programmed. That’s because sometimes I like to try something new, and I use this button to save a new station I might find with the scan button. You may have one of those buttons – scans through all of the local antennae and pushed the strongest ones out to you. 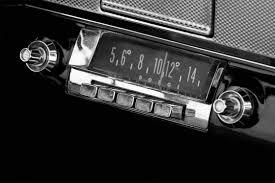 I use it a lot when I am driving long distances, or when I am unsure of radio stations in certain areas of Texas. And, while the ‘scan button’ may not have a Bible Twin, I do hear a comparison with the Holy Spirit. John 3:8 (NIV) reads “The wind blows where it chooses, and you hear the sound of it, but you do not know where it comes from or where it goes. So it is with everyone who is born of the Spirit.” When we push our own ‘scan button,’ we’re listening for those top five or six places where the Holy Spirit nudges us. Whether your commute is long or short; whether your car has an old-fashioned radio or the snazzy new technology – choose your stations wisely. I’m sure you’ll hear God in many of them, if you are listening. A lot like your picks for the ride home to unwind by, I did have a flashback to my DFW say when I seen your stations. 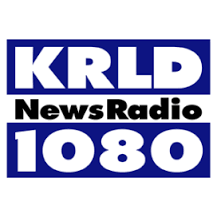 Since you asked, I spend a lot of time listening to 910 Guadalupe Radio (Catholic radio). Especially at 5-7 pm (Catholic Answers) on my way home. Give a listen at that time (if you’re daring), especially if you’ve ever had questions about the Catholic Church. You might even save it as button 6! I used to listen to 1310 all the time, but I haven’t heard God’s voice there very often, if ever. I will try it Andy, thanks! And yes, those sports talks are challenging to hear God….hence the analogies. I am a Sirius girl!! I almost always have channel 63 on! It’s “The Message”–mostly contemporary Christian. The rest of my family has added a country station to the mix though…and cowboy boots, and I even noticed a few charges from the “Boot Barn” on the AMEX. I think they are becoming serious Texans!